I originally published this article in 2012. Though I’ve made advancements in certain areas with all three of these heads, the basic info here is still relevant and I hope you find it informative. I updated the M97 analysis to cover issues with valve seat failures. I recommend giving it a read. It’s highlighted red. Beginning in 1999 with the 996 911, Porsche introduced the first of 3 generations of modern flat 6 3.4l engines. The first two engines listed above were related through the M96-97 evolution. Though they exist in the same engine family, the 996 heads are not interchangeable with the 987 heads. Though similar in appearance, they share little more than bore centers and the same basic layout of cams and valves. The 3.4 987 M96/97 heads are identical to the 3.6l 997 heads with regard to valve arrangement & sizes, and port & chamber shapes. The only differences in the heads are related to fitments of various components, such as oil scavenge pumps, intake manifolds, AOS devices, etc. For this reason, performance information relating to the M96/97 version of 3.4l 987 heads applies directly to 3.6l 997 heads. For simplicity of nomenclature we’ll refer to 987 3.4 M96/97 heads as M97 heads. -M96 37.1mm In. x 32.5mm Ex. -M97 40.2mm In.x 34.4mm Ex. -9A1 39.5mm In. x 34.2mm Ex. 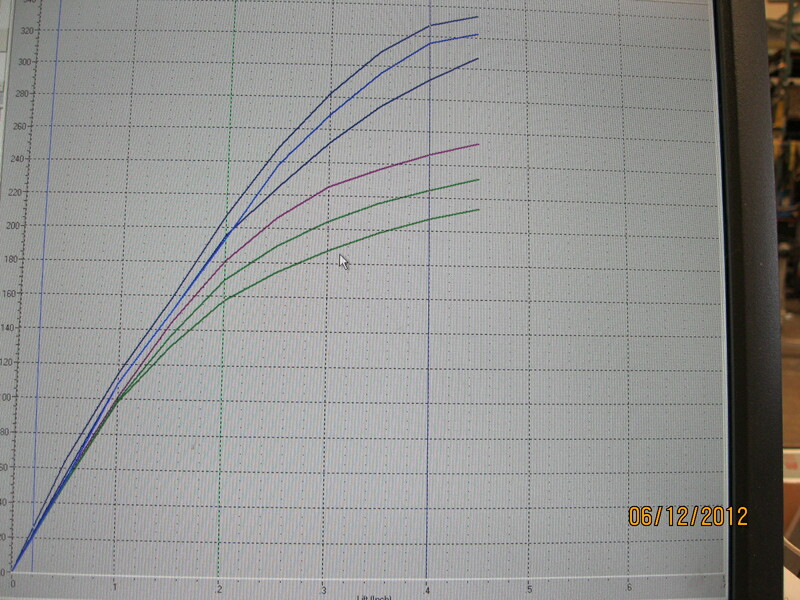 Here’s a look at the progression of the 3.4 ports and chamber shapes along with flow data for each head. 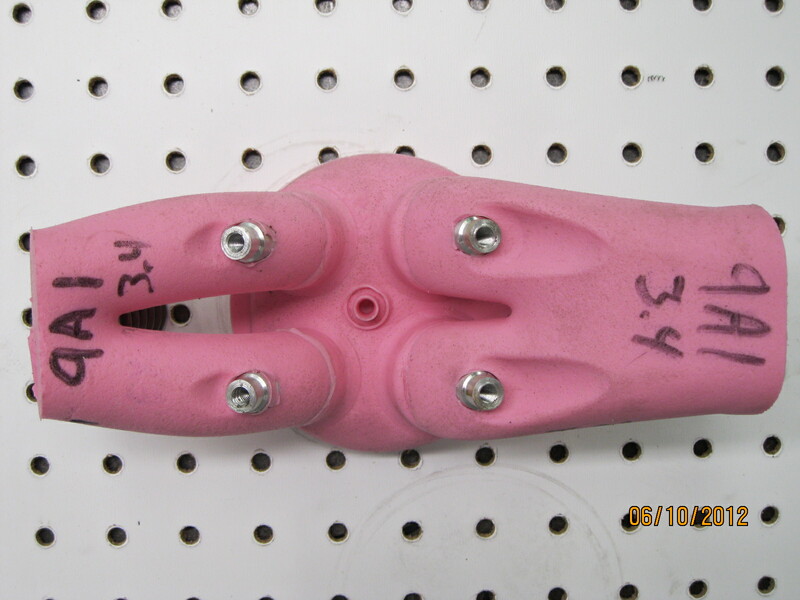 The silicon castings were pulled from bone- stock heads. 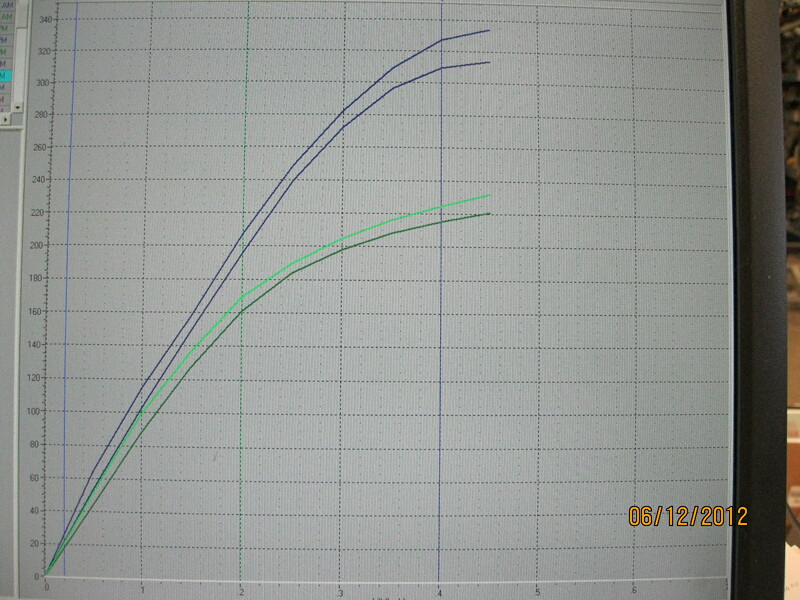 The Before flow data is also from bone-stock heads. Here’s a look at all of the Before data together. 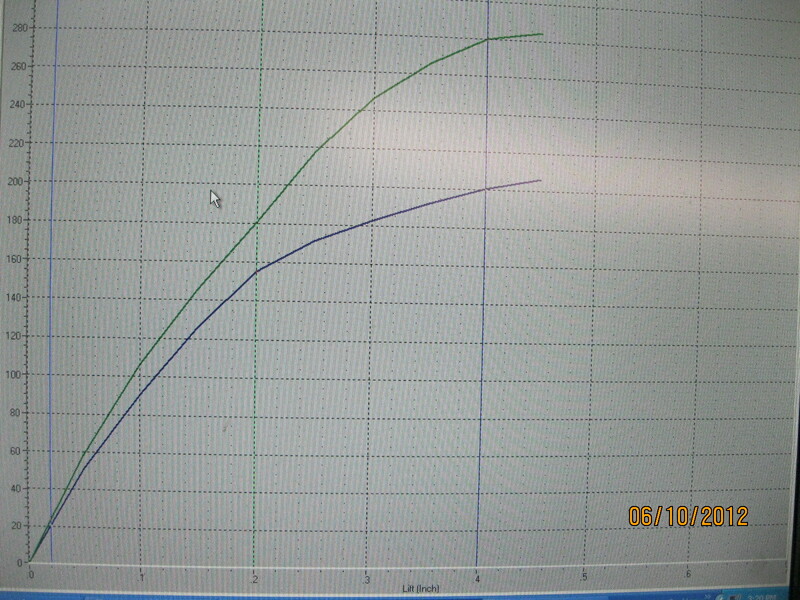 Here’s a look at the Before&After flow data following Port&Polish and Hi-Performance seat work. Here’s a look at all of the After data together. Note that after strategic port & polish work, and high-performance valve seat work the M97 gains push the Intake flow values quite a bit higher than the 9A1. The port work performed on the M96/97 heads was more strategic than extensive. Port volumes and shape were not drastically altered. As for the 9A1’s, due to their immense size there was essentially no port work performed on them. Some blending and much polishing was all that was done with them. All before and after tests were conducted with factory valves. 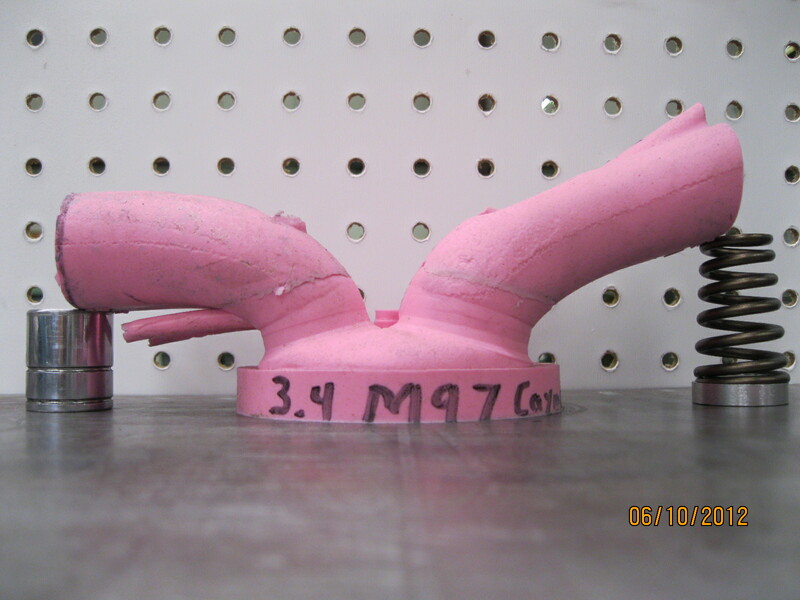 The gains made on the M96 & M97 intake ports are evidence of the superior basic shape they came with from the factory. 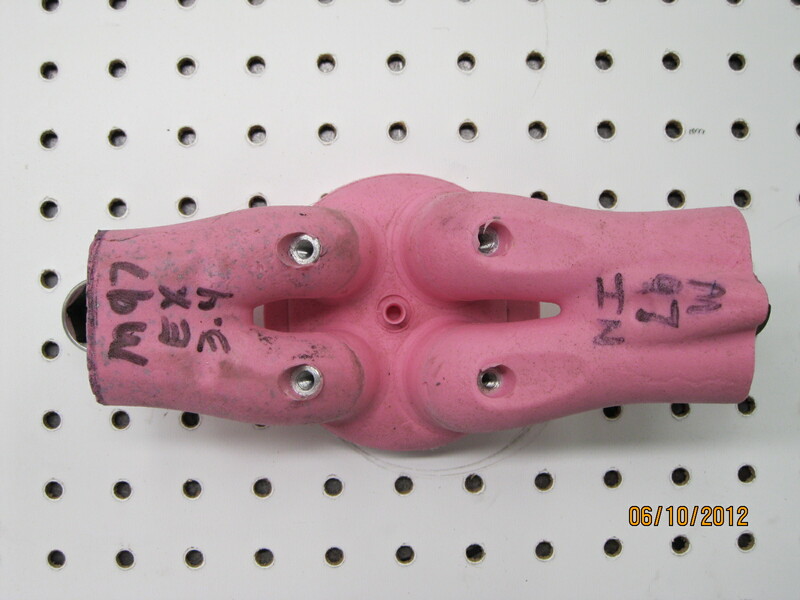 Overall the ports are appropriately sized – as in, not too large – for the valves. This is very important. 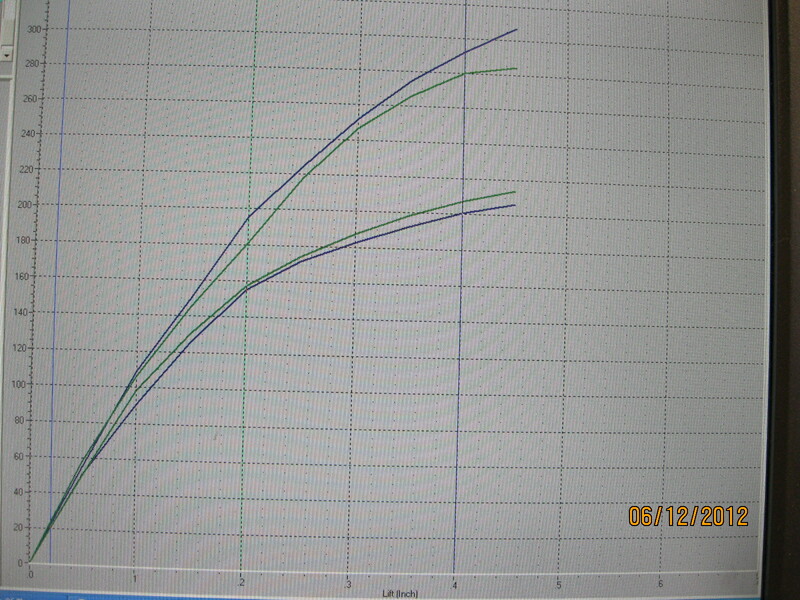 It allows for strategic port work to compliment the added flow potential of the improved valve seat profile. 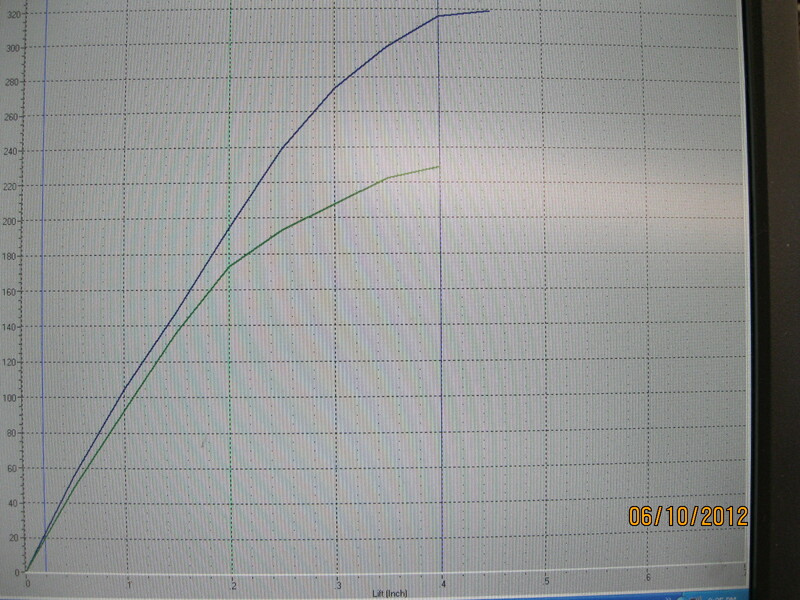 In the above flow data notice that the M96 intake port kept pace with the 9A1 til around .210″ valve lift. At that point the smaller M96 valves begin limiting flow. Considering the differences in valve & port sizes this is very significant and illustrates the overall superiority of the M96 port shape over the 9A1. The 9A1 intake ports are super sized and suffer from a less than ideal shape directly beneath the valve seats. Oddly enough these curious design details were coupled to a very sophisticated valve seat profile. Had the 9A1 intake seats originally been cut with the same elementary factory profiles as the M96 & M97 intake seats the stock 9A1 would not have flowed as well as the stock M97. And the 9A1 would have realized significant gains from seat work alone. As for the exhaust ports the 9A1’s are clearly superior. They have a fantastic shape with long bifurcated runners that join fairly near the port exit. This is possible because the port exit is both higher and angled up a good deal. Click here to see a photo that illustrates this quite well. It’s interesting that the 9A1 exhaust port shape has more in common with the M96 than the M97. This is most evident in the top view of the ports. Click here to see the M96, here to see the 9A1 and here to see the M97. While the M97 exhaust ports do out flow the M96, this can be attributed to the substantially larger valves and ports, not superior design. Due to the physical layout of M96/97 heads enlargement of the exhaust port went for the most part in pretty much the only directions it could; inward, and down. Out some too, but mostly in & down (toward the deck) . Notice how short the M97 individual, bifurcated runners are compared to the M96 & 9A1 runners. In order to enlarge each runner the divider was thinned and cut back. This opened the individual runners, but greatly shortened their length. In terms of flow the port is effective and adequate to balance the intake port, but the shape is not as efficient as the 9A1. 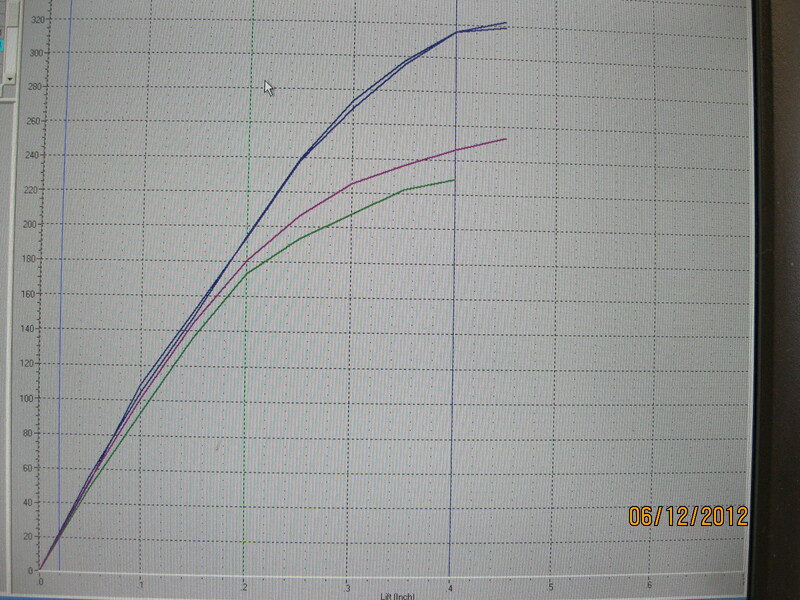 Compare the flow data, then consider that the M97 & 9A1 exhaust valve sizes are virtually identical. These heads are simple in design, and have much potential for performance upgrades. They come equipped with single conical springs on both the intake and exhaust valves that are very easy on the valve guides. It’s quite rare that I find guide wear and when I do it’s almost always confined to the exhaust. I expect that as the miles add up I’ll see more of them with guide wear. The springs are pretty durable, but pressures do fall off with use; enough that I recommend replacing them when the heads are serviced. I have never seen an M96 3.4 head drop a valve seat. The only real problem I have observed with them is their propensity to crack in the area beneath the follower housing. Click here to read more about this issue. These are my favorites of the 3.4 lineage. They retain the M96’s simplicity of design, but without the crack issues. And they feature larger valves with absolutely spectacular intake ports. The exhaust springs are conical, but stronger than the M96 springs (no, sadly they are not interchangeable). The intake springs are dual, non interference style. The only recurring problem I see with the M97 heads is heavy intake guide wear. 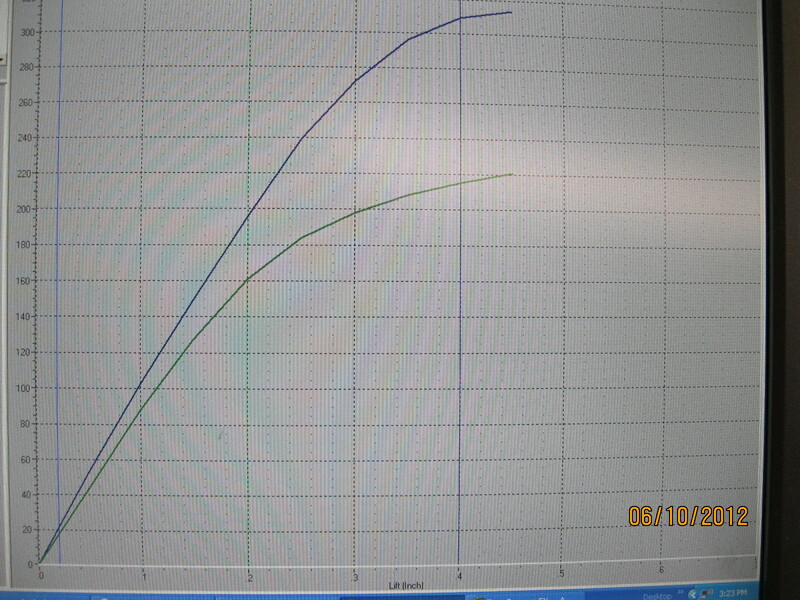 I attribute this primarily to the aggressive action of the Vario-Cam Plus setting up harsh valve spring wave action. Wave action exerts very strong side loading to the retainer which is transferred to the valve. This combined with the short length of the guides and what is likely not the most durable guide material leads to some pretty significant wear. We replace them with slightly longer guides made of a proven, durable material high in Silicon and Manganese content. It’s worth noting that conical springs don’t suffer with this sort of heavy wave action. Interference dual springs would probably help the problem, though they do elevate oil temps. Most, but not all, of the M97 heads I’ve seen had little if any exhaust guide wear. As with the M96 I expect to encounter more guide wear as these heads see more miles. As I mentioned earlier, this article was written in 2012. It’s now November, 2016. 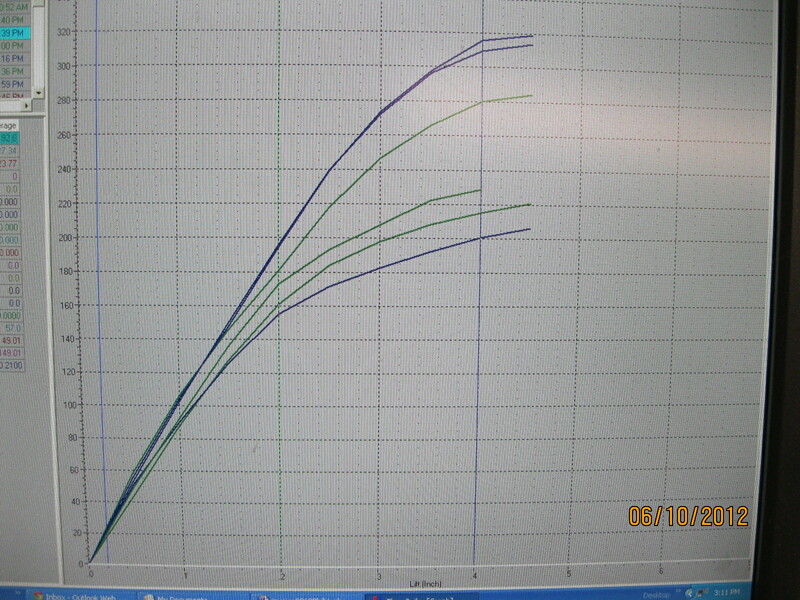 Since that first draft, intake valve seat failures have become problematic with these heads, especially on track cars. 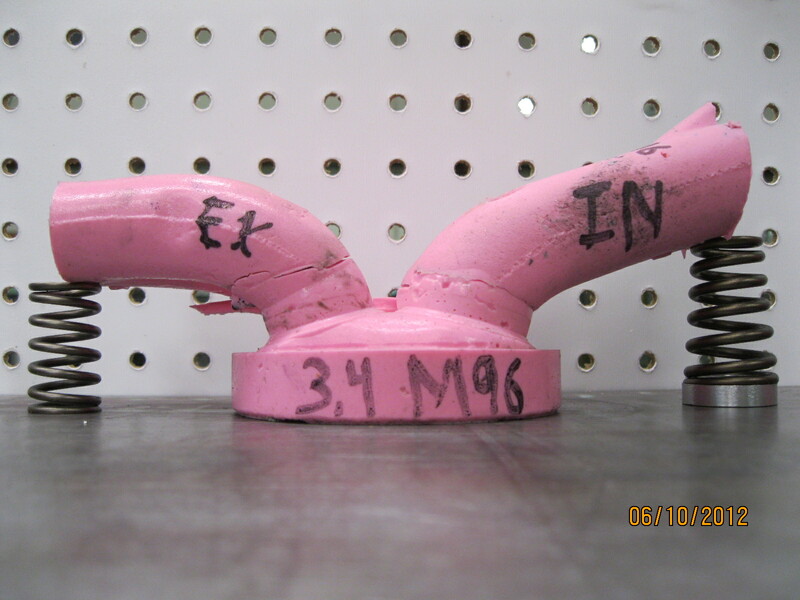 I’ve seen many failures related to intake valve seats dropping. And it’s not uncommon for the seats to fall out in our ultrasonic parts washer, heated to just 160*F. When this happens we are able to measure the crush – interference fit. We are finding these values ranging from .001″-.002″ (not nearly enough), and evidence of seat movement in the bores. For this reason we will not service these heads, or their 3.6l siblings, without replacing the intake seats. There hasn’t been much talk about this issue, yet, but it’s coming. This is likely to become quite common as more heads run through shops for new guides and a valve job. The O.E. powedered metal intake seats are very light, and have a very narrow wall, barely 2.5mm. Cutting the seat for a valve job has a coring effect, not unlike core drilling a valve guide to relax it’s press fit. As for the exhaust seats, we’ve only seen one fail in service. 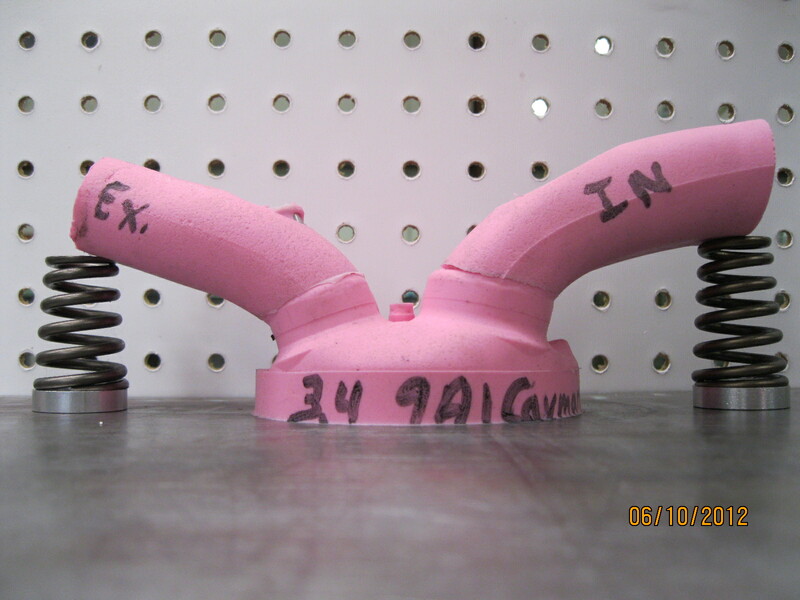 However, we have seen several of them drop out in the casting oven heated to 210*F for valve guide installation. At this point we do not require that our customers also replace the exhaust seats, but we are now recommending it as a precaution. They make us nervous. My overall impression of the 9A1 design is favorable. 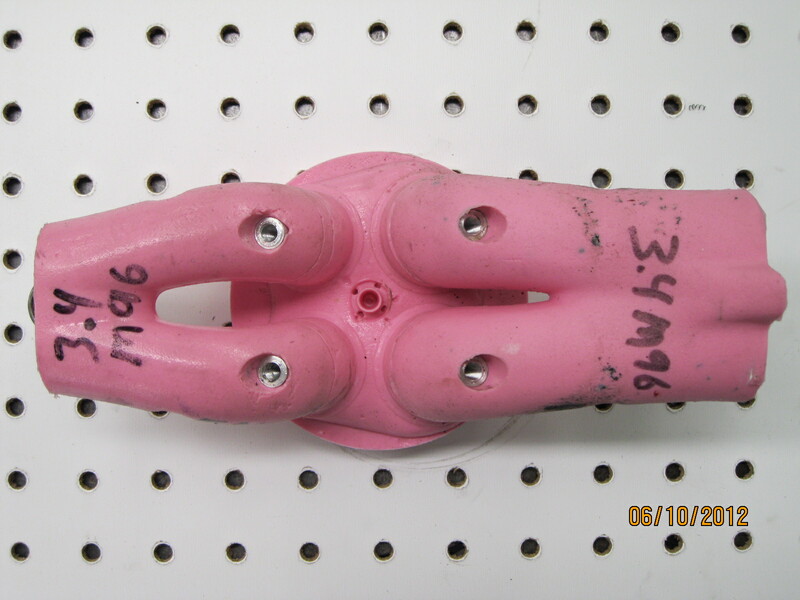 It’s an extremely complex piece representative of highly advanced casting and machining technology. Due to their unusual shape they have to be handled differently than M96/97 heads. Machine set-ups take more time. Cleaning is complicated by the maze of oil galleys. The fact that the lifter bores are machined right into the head and not a separate housing makes all spring related work more tedious, including assembly. But these issues are not unique to the 9A1, and neither are the techniques to deal with them. From the perspective of power making potential, I see a lot of it with the 9A1 design. I would be remiss in not thanking Charles Navarro of LNEngineering for providing the 2010 Cayman 9A1 heads used in this study. I need to give a big thanks to Charles for allowing me the opportunity to examine, poke, prod, analyze, make silicon castings from, flow test, and massage these heads. I really enjoyed getting to spend time with them. Pretty sure not too many cylinder head professionals have had the pleasure, yet.